Toyota Hilux is the top-ranked pickup truck having an incredible demand and valuable appeal among customers in Tanzania. The people of Tanzania always keep a trust and reliability on Japanese brand used pickups which delivers the best in terms of design, comfort, and luxury performance. This smart and trendy pickup truck has become an excessively imported 4WD pickup truck in Tanzania with having an extensive demand in all major cities of Dar es Salaam, Mwanza, Arusha, Dodoma, and Mbeya. It drives a passionate interest among the younger audience to ignite a spark of adventure and sheer excitement to have an outdoor recreational fulfilling journey experience. The perfect leisure activities of youngsters are wildlife safari, beaches, sandy deserts, and the Rocky Mountains. 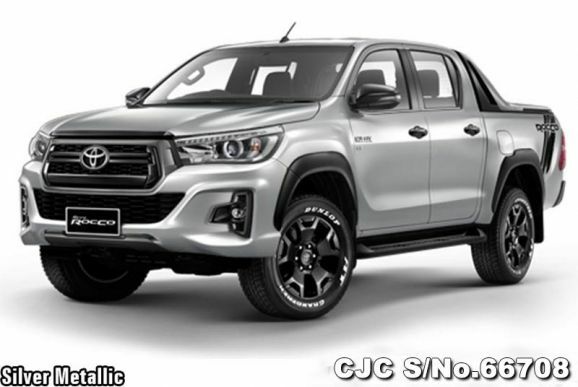 Hilux Pickup is made of a high tensile steel chassis structure and double wishbone rugged suspension for having a well-balanced smooth stable off-road and on-road drive. It offers a sleek shine robust exterior design to show a stunning noticeable appeal and a strong reputation for everyone. It is an outstanding luxury 4×4 compact pickup truck ideal for rough terrain which has consistently been proven and tested in all kinds of harsh conditions by keeping up its smooth flow of driving capabilities. It has shown up an extreme sense of dynamism and strength to carry loads of cargo storage with potential towing capacity. The interior design provides a complete sense of luxuriousness and spaciousness for passengers consists of both single and double cabin body style variations. The seating is designed with premium quality leather fabric for a comfy relaxing journey and offers much ease of legroom and headrest space. The rear side opens flat cargo trunk compartment offers a vast extensive storage loading cargo accommodation with an easily lockable tailgate. The side doors are broadly open which provides the extreme convenience of entry and exit of passengers with firm inside handle grip and low floor cabin. By means of performance, it provides 2.4 L and 2.8 L of a diesel engine with a 6-speed manual as well as automatic transmission. Toyota Hilux is the largest selling pickup vehicle in Tanzania because of demographic location based on adventure wildlife and desert safari. It is promoting African tourism on a wide scale and also helping in maintaining a good status lifestyle for citizens.